Cambridge English: First (FCE) - это третий тест из серии Кембриджских экзаменов по общему английскому языку. Согласно международной шкале уровней, установленной Советом Европы, сертификат FCE соответствует уровню В2 (Upper-Intermediate). Предполагается, что на этом уровне знания языка можно уверенно общаться на устном и письменном английском в повседневных ситуациях на уровне выше среднего. A Cambridge English: First (FCE) qualification proves you have the language skills to live and work independently in an English-speaking country or study on courses taught in English. This exam is the logical step in your language learning journey between Cambridge English: Preliminary (PET) and Cambridge English: Advanced (CAE). Oxford First Certificate Knockout Full Set - May Peter, Martin Jackie. Student's Book" is a thorough, yet lively training in all aspects of the First Certificate exam. KNOCKOUT is a course for First Certificate, providing the most thorough exam preparation available. Using a livelly and balanced approach with a comprehensive grammar syllabus and in-depth coverage of vocabulary. Oxford KNOCKOUT provides everything the student needs to pass FCE exam. First Certificate Masterclass full pack - 2008 - Simon Haines, Barbara Stewart. First Certificate Masterclass is designed to challenge motivated students. The course approach encourages them to be independent learners, providing opportunities for bringing their own experience into their learning. Online Skills Practice reinforces the work you do in class. This can be managed by you, or students can do it as self-study. Use iTools on your interactive whiteboard to bring a fresh approach to teaching. A stimulating and thorough approach to language learning, combined with focused exam preparation, has made First Certificate Masterclass one of the most successful and popular courses available for Cambridge English: First (FCE). Cambridge English: First Masterclass Full pack - 2015 - Simon Haines and Barbara Stewart - The contemporary design and updated material in this revised edition will motivate students preparing for the 2015 Cambridge English: First exam. The exams skills training activities and tips give students confidence when approaching FCE tasks. The Student’s Book includes access to an online practice test, as well as Online Skills Practice, to give learners plenty of support outside class. Oxford FCE Practice Tests Full Set - Mark Harrison - Oxford University Press, 2009. 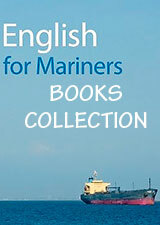 Four new tests for the revised First Certificate in English. This set of four practice tests is written by a highly experienced author, and replicates the revised FCE exam in level, content and format. The testbook contains: Four complete practice tests, Sample answer sheet, Do-it-yourself mark sheets for calculating scores, Assessment criteria for Paper 2 Writing and paper 5 Speaking, Eight-page colour section for Paper 5 Speaking, The WITH KEY edition is ideal for classroom use or as a self-study resource. It includes model answers for Paper 2 Writing tasks, audio scripts, and comes with two audio CDs. Oxford FCE Result And Revised Result FCE Pack - Paul A Davies, Tim Falla, David Baker - FCE Result develops the skills your students need to get the right result in the Cambridge English: First (FCE) exam. The lively content and vibrant design keep your students motivated. The new Online Skills Practice reinforces the work you do in class. This can be managed by you, or students can do it as self-study. Use the new FCE Result iTools on your interactive whiteboard to bring a fresh approach to teaching. New Success at First Certificate SB+TB+WB - An immensely popular course, fully updated to meet the requirements of the FCE exam. It can be used as a thorough preparation course for the revised First Certificate exam. To tell you the truth I love using it because of the workbook’s excellent taskmaterial and the great listening tasks. Student's book is from a photocopy, but quite OK quality. It has 20 motivating, theme-based units and very clear format for ease of use. Exam preparation is dealt with progressively, starting with simpler versions of the tasks to build confidence. It concentrates on thorough development of all four skills. Rule-finding approach to grammar, cross-referenced to a comprehensive Grammar Summary at the back of the book. Includes substantial vocabulary work and rigorous writing syllabus with models and practice for different task types. Extensive training for the full range of speaking tasks in Paper 5. Test it Fix it: FCE Use of English - Learners test their English, check their answers, then test themselves again. Feedback on every answer means students really learn from their mistakes. A test, answers with helpful tips, and a second test on the same topic in each four-page unit, twenty topics in each book, twenty 'Review' pages, leaving a mini reference book once all the tests have been completed, written for self-study and also suitable for use in the classroom. Level: Upper-Intermediate.